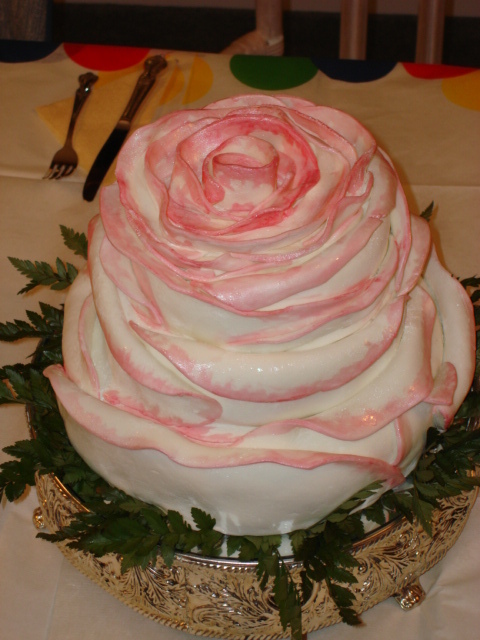 This cake which Lisa Shepley calls "My Tribute to Rose Cake"(and I am honored) is so stunning I had the impression, for a fleeting instant, that I could smell the rose (not to mention that my head cold is still preventing me from smelling anything!) In Lisa's words, here is how she accomplished this breath-taking work of art. I sure would love to see it cut into!